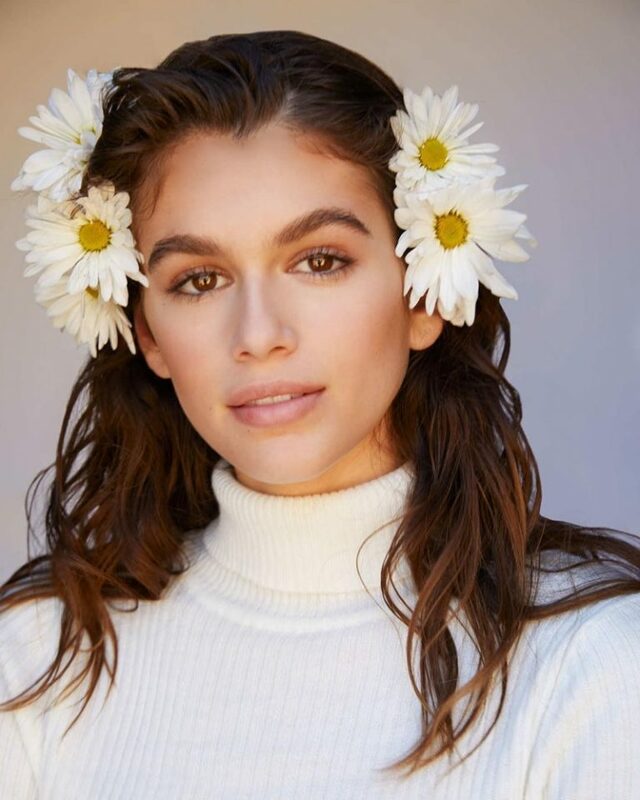 Marc Jacobs muse Kaia Gerber gets another fashion photoshoot with the high-end American label, and stars in the latest Daisy Love Campaign. The 16 year old model of the moment, who has previously appeared in Marc Jacobs Daisy Fragrance campaigns, heads to the beach for the Daisy Love shoot. Photographed by Alasdair McLellan, Kaia poses alongside models Faith Lynch and Aube Jolicoeur, with the creative direction of Katie Grand. Daisy Love is Marc Jacobs new scent from the Daisy line, and is described as a radiant floral scent with notes of crystallized cloudberries, daisy petals and cashmere musk.